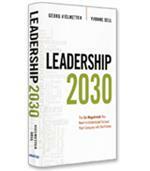 We are in a time of disruptive leadership change. 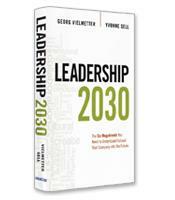 In a VUCA world –– one characterized by volatility, uncertainty, complexity and ambiguity –– traditional leadership skills won’t be enough. Drawing on the latest ten-year research from the Institute for the Future, this powerful book explore the external forces that are shaking the foundations of leadership. How to constructively depolarize tense situations and help people from divergent cultures to work together. How to immerse yourself in very different-from-you physical and online worlds and learn from them. How to organize smart mobs. How to apply the principles of nature in your leadership. 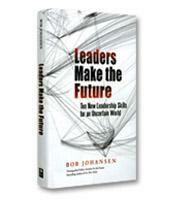 How to prepare your organization and leaders for our rapidly changing future.